Three years after the storming of the Bastille, the streets of Paris are roiling with revolution. The citizens of France are enlivened by the ideals of liberty, equality, and fraternity. The monarchy of Louis XVI and Marie Antoinette has been dismantled—with the help of the guillotine—and a new nation is rising in its place. Jean-Luc, an idealistic young lawyer, moves his wife and their infant son from a comfortable life in Marseille to Paris, in the hopes of joining the cause. André, the son of a denounced nobleman, has evaded execution by joining the new French army. Sophie, a youngaristocratic widow, embarks on her own fight for independence against her powerful, vindictive uncle. As chaos threatens to undo the progress of the Revolution and the demand for justice breeds instability and paranoia, the lives of these compatriots become inextricably linked. Jean-Luc, André, and Sophie find themselves in a world where survival seems increasingly less likely—for themselves and, indeed, for the nation. Featuring cameos from legendary figures such as Robespierre, Louis XVI, and Thomas-Alexandre Dumas, Where the Light Falls is an epic and engrossing novel, moving from the streets and courtrooms of Paris to Napoleon’s epic march across the burning sands of Egypt. With vivid detail and imagery, the Patakis capture the hearts and minds of the citizens of France fighting for truth above all, and for their belief in a cause greater than themselves. Against the glittering backdrop of the Habsburg Court and the rich, romantic, and volatile time period—marked by pivotal events such as the opening of the Suez Canal, Vienna’s World Exhibition, and the lead up to WWI—Sisi, the beloved “Fairy Queen,” won hearts and broke hearts, fighting battles both epic and poignantly intimate as a woman well ahead of her time during a true Golden Age in European history. 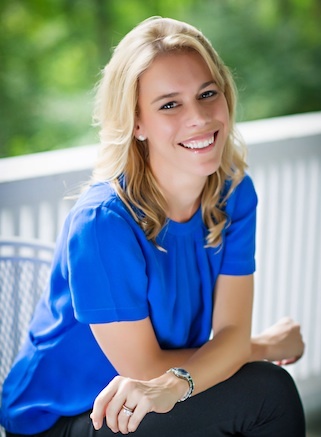 Allison Pataki is a New York Times Bestselling Author with a passion for telling the stories of leading ladies lost in history. Her debut novel, The Traitor’s Wife, came out in 2014 and her second novel, The Accidental Empress, came out in February 2015. Allison’s third New York Times Bestseller, Sisi: Empress on Her Own, hit shelves March 2016. And her most recent historical novel, Where the Light Falls, was published in July 2017. I love books. I love reading them, I love discussing them, I love writing them. I love immersing myself into a great story and having the opportunity to see a new world through a fresh set of eyes. My 100-year-old grandmother once told me: “As long as I have a good book, I will never be lonely.” I feel the same way. I guess I should have known from the beginning that I wanted to be a writer. I had the great fortune of growing up in upstate New York, in the Hudson River Valley. As the third of four kids, I would often wander off into the woods behind my backyard and spend hours, alone, totally absorbed in my own imaginings. I’d create characters and scenes and lots of interpersonal drama. I still remember many of the characters and storylines I first imagined at around age nine. I’ve always been an avid reader, and I loved staging plays with my siblings and cousins. I recall the difficulty of trying to get my 7-year-old cousins to remember their lines from Romeo and Juliet. At Yale I majored in English and I could not believe my good luck – suddenly I was able to spend hours doing nothing but reading, writing, and talking about books. And I got to pretend that it was work! After college, hoping to blend my love for English and History, I moved to New York City and pursued a career in journalism. Although I enjoyed so much of the work I was doing, I was sort of a misfit in the industry. I did want to study the major events unfolding in our world, and the way in which individuals reacted to and shaped these events – but the panic-inducing deadlines and the rapid-fire pace of the 24-hour news cycle were not for me. So, in my free time, I began to write fiction. It started out as a post-workday release, a way to unwind after the hectic newsroom. Before long, I found myself completely consumed with this new hobby. Suddenly, I was rushing home from work to grab my laptop and get to writing. I’d find myself surprised on the subway, at the grocery store, out for dinner, with some new idea for some scene or character or a piece of dialogue, and I’d run back to my apartment, worried that I might lose the idea before I could get it down on paper. Energized and encouraged by this early part of the process, I kept going. Writing became, for me, a guilty pleasure. It was an indulgence for weeknights and weekends. It was the fun I got to have after work. Four years and three completed novels later, I realized that perhaps I was in the wrong line of work. Perhaps writing novels, even though it seemed too fun to actually be work, could in fact be my future. 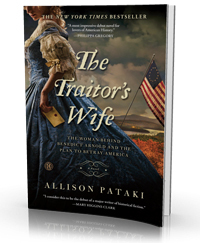 I was so fortunate to meet my agent at Dupree Miller and Associates and by the fall of 2012, we had signed a deal to publish my first historical fiction novel, The Traitor’s Wife, with Howard Books, a division of Simon and Schuster. That was such a fun debut project for so many reasons, but particularly because of how close to home (quite literally) the setting was. Like The Traitor’s Wife, my second project, The Accidental Empress, was set in a rich and captivating time period that had a personal significance to me, but told from a fresh perspective. My protagonist, Sisi (also known as Empress Elisabeth of Austria), was a woman who had a front row seat to history, though her story remains largely untold. 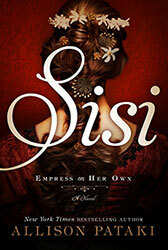 My third book, Sisi: Empress On Her Own, picks up where The Accidental Empress left off, completing the saga of Empress Sisi, one of history’s most fascinating leading ladies. Against the glittering backdrop of the Habsburg Court and the rich, romantic, and volatile time period—marked by pivotal events such as the opening of the Suez Canal, Vienna’s World Exhibition, and the lead up to WWI—Sisi, the beloved “Fairy Queen,” won hearts and broke hearts, fighting battles both epic and poignantly intimate as a woman well ahead of her time during a true Golden Age in European history. My fourth book, Where the Light Falls, takes readers to the riveting time of the French Revolution. Three years after the storming of the Bastille, the streets of Paris are roiling with the spirit of revolution. The citizens of France are enlivened by the ideals of liberty, equality, and fraternity. The monarchy of King Louis XVI and Marie Antoinette has been dismantled—with the help of the guillotine—and a new nation is rising in its place. Jean-Luc, an idealistic young lawyer, moves his wife, Marie, and their infant son from a comfortable life in Marseille to Paris, in the hopes of joining the cause. André, the son of a denounced nobleman, has evaded execution by joining the new French army. And Sophie, a beautiful, young aristocratic widow, embarks on her own fight for independence against her powerful, vindictive uncle. And my fifth book, Beauty in the Broken Places, was a nonfiction journey that I never expected to take. That one published in May, 2018. I hope you’ll have as much fun reading my books as I have writing them.